Halton District School Board - Are We There Yet? "Are we there yet?" Every parent has heard this classic kid question on a long car ride—and after listening to this astonishingly inventive new audiobook, you'll never look at being bored the same way again. Let's face it: everyone knows that car rides can be boring. And when things get boring, time slows down. In this audiobook, a boy feels time slowing down so much that it starts going backward—into the time of pirates! Of princesses! Of dinosaurs! The boy was just trying to get to his grandmother's birthday party, but instead he's traveling through Ancient Egypt and rubbing shoulders with Ben Franklin. When time flies, who knows where—or when—he'll end up. 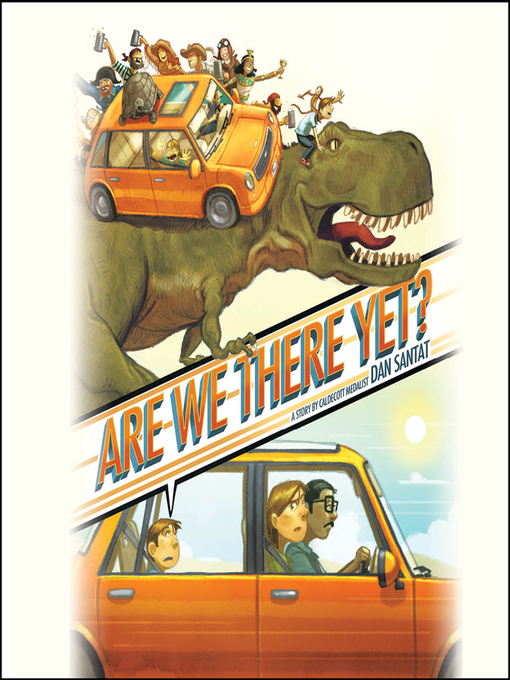 Dan Santat is the Caldecott Medal-winning and New York Times bestselling author and illustrator of The Adventures of Beekle: The Unimaginary Friend, Are We There Yet?, and After the Fall as well as the illustrator of many other picture books, including Crankenstein by Samantha Berger. Dan lives in Southern California with his wife, two kids, and various pets. Two parents and their son set out on a marathon car trip, headed to Grandma’s house for her birthday. “This is taking forever,” the boy groans. Suddenly—is he dreaming?—a steam locomotive appears beside their car, chased by a cowboy on horseback. Following the text around sequential panels, readers end up flipping the book upside down and turning the pages back to front as the family travels into the past. Outside, pirates fight, knights joust, dinosaurs loom. Then, just as suddenly, text and pictures right themselves and the family zooms into the future, arriving at Grandma’s house to find a space-age building in its place: “Today is October 24, 2059,” a huge screen announces. The conclusion is as neat as the bow on Grandma’s birthday gift (a clock). “Be patient,” writes Caldecott Medalist Santat (The Adventures of Beekle), dedicating the book to his son. “We have all the time in the world.” His own patience is what harnesses the energy of his riotous story and gives it a laser focus. It’s a remarkable feat—a turbocharged adventure that’s also a meditation on the relative nature of time. Ages 3–6. Agent: Jodi Reamer, Writers House. COPYRIGHT(2016) Kirkus Reviews, ALL RIGHTS RESERVED. 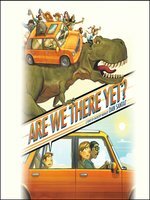 Copyright 2016 School Library Journal, LLC Used with permission.